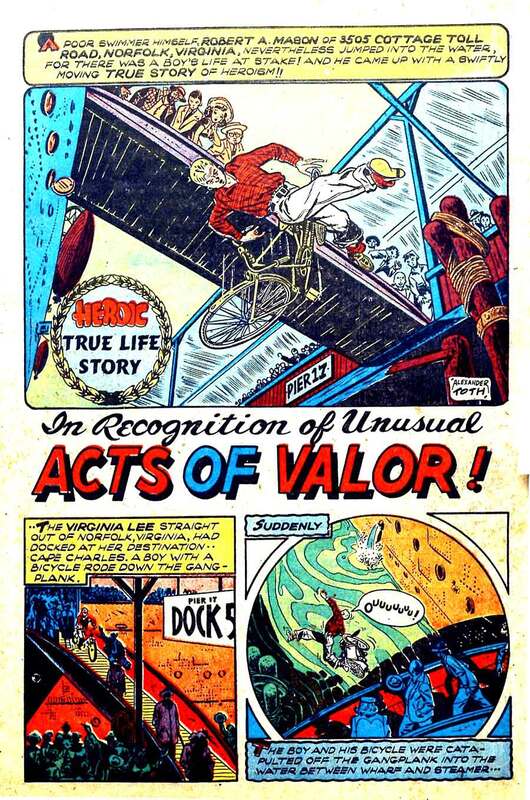 Heroic Comics v1 #45, 1947 - Alex Toth is attributed to a quartet of stories inside, but only the first one has his actual signature (see interior page below). Of these four early works by the artist, "Vail Medal Award" contains the most detail and polish. The last story, "The Heroic Tenderfoot", is perhaps the least recognizable in style. The figure drawings, background and textures, however, share some characteristics of other Toth works from the same era. Other artists in this issue include Mort Lawrence and Fred Guardineer. This is number 11 of 13 Heroic Comics issues with Toth art and/or covers. 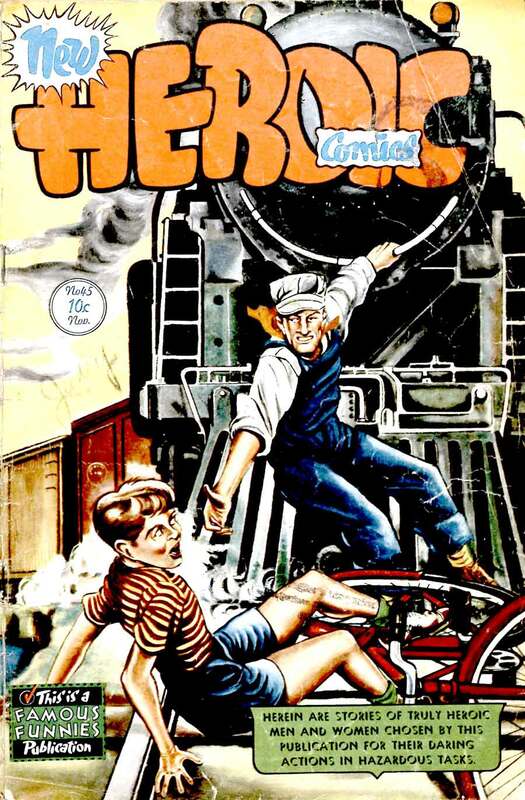 The Duke saves a kid on a bike,while standing on the cow catcher as train speeds on ?